It’s December and you know what that means, right? Time to plan your annual winter party. If you are like me, this is something you dread every year because it’s so unpredictable. Some years you have amazing room parents who know exactly how to plan age-appropriate activities for your class and other years you wonder if anyone is going to show up or if they do show up the party ends up being a disaster. After having one too many of those parties to end all parties . 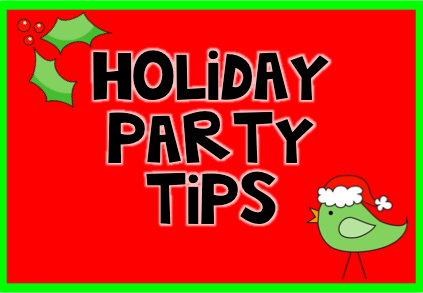 . . the ones where you are looking for the Tylenol bottle before the party is even over type of parties, I decided I needed a new plan. I decided to become my own party planner. Who should know better than me what is appropriate group activities for my students? Each year when I met with my room moms and showed them my plan, they seemed relieved that the planning was done for them. They were perfectly happy to provide the support role. I organized my party into 4 stations that my students rotated to every 10-15 minutes. You will divide your class into 4 groups. Three groups at tables and one group on the carpet. For this type of party you will need a minimum of 4 helpers so that you can be free to do crowd patrol. The carpet group will play hot potato. You use a seasonal stuffed animal such as a snowman or reindeer for your hot potato. Play seasonal music. Put on piece of spaghetti in playdough so the spaghetti is standing upright. Ahead of time your room mom will put red and green cereal – same number of pieces in snack size ziplock bags. When the parent helper says go, the students put the cereal on the spaghetti in a pattern. The first person who puts on their cereal in a pattern on the spaghetti without breaking the spaghetti wins. Bingo game is included in packet below. All you have to do is print it off. It’s already colored. If you print it on card stock you won’t need to laminate it. Each school has different rules concerning food. I’ve been at some schools that allowed sweets so at those schools my room mom brought in holiday shaped cookies and my students decorated the cookie at this station and ate it for their snack. If sweets weren’t allowed, we ate whatever type of food we were allowed at this station. You can download my winter party kit for free by clicking on the picture below. Click on the sign below to find other great freebies! Love using stations as a way to organize parties. Thanks for sharing.